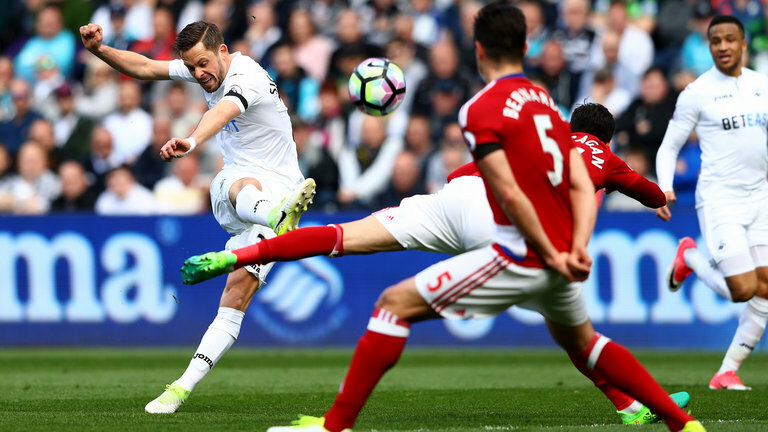 Swansea City are back in EFL Championship action this weekend with their second home game in under a week, as they welcome Middlesbrough to the Liberty Stadium. The Swans come into this weekend’s game on the back of an impressive 3-0 victory over Brentford in their midweek league fixture. The result leaves the Swans in 14th place in the table on 50 points, which makes them virtually safe from relegation. The ten point gap to the play-off places is likely to be too much of an ask this time around for Graham Potter’s young side. Perhaps what was most pleasing about the Brentford game was the high quality football, which has been consistent with previous weeks, but this time around the Swans found their goalscoring touch – something which had let them down in recent weeks, despite some eye-catching performances. Middlesbrough suffered a 1-0 defeat at home to Bristol City in their midweek fixture. Tony Pulis’s men are currently 8th in the Championship, but have lost their last five games in the league which has recently seen them drop out of the play-off places. In fact they haven’t picked up a Championship point since the goalless draw at Wigan at the start of March. Newport born Pulis is under increasing pressure to keep his job, although Boro chairman Steve Gibson has vowed to keep the Welshman in his job until the end of the season. With his contract running out in the summer, their is no legal reason for Boro to keep Pulis as manager, so I’d rather wager money at a top online casino selected by experts from Solicitors.guru than back my fellow Welshman to keep his job. Take a look at all of the historical results between the two clubs since their first meeting way back in 1925, when the Swans thrashed Middlesbrough 4-0 in Football League Division Two, on our Swansea City v Middlesbrough Head to Head Statistics page. The last time the sides met at the Liberty Stadium was in April 2017, when the sides played out a dour 0-0 draw in a Premier League relegation battle. Bobby Madley was the referee that day. Former postman Andy Woolmer will be the referee for this Championship fixture. This will be the third Swansea City game that Woolmer has officiated this season, having overseen the 2-0 defeat at Bristol City in February and the 3-2 win at Brentford back in December 2018. Woolmer has only taken charge of one Boro game to date, the tempestuous 1 nil defeat at Sheffield United in February. In his 12 Championship games this season, he has issued 38 yellow cards and 2 red cards. He averages just over 3 yellows per game and has awarded 3 penalties to date. As I have mentioned numerous times this season, the Swans are far and away the fairest team in the league, picking up just 35 bookings in 38 league games. This amount is a total of 21 bookings behind the next fairest team in the league and is exactly half of the total of 70 bookings that Middlesbrough have picked up this season. Not all bookmakers seem to have picked up on this and the 4/5 (1.80) that SkyBet offer on Middlesbrough to pick up the first booking of the game seems to be great value. As mentioned, Middlesbrough are on a five match losing streak, but they have also failed to get on the score-sheet in their last three games. However, they do have the best defensive record in the Championship overall and so I would expect a tight game this weekend, which is in keeping with the last three meetings at the Liberty Stadium between the sides, with only 1 goal deciding the outcome in 2 of the 3 games. As the old cliché goes, people may see Swansea as ‘not having anything to play for’, but I feel the Swans are playing with great confidence on the ball and the youngsters will be desperate to do as well as they can and target a high as finish in the league as possible. On the basis of this, I am going to tip a 1-0 Swansea victory for the game which is available at 67/10 (7.70) with MarathonBet. 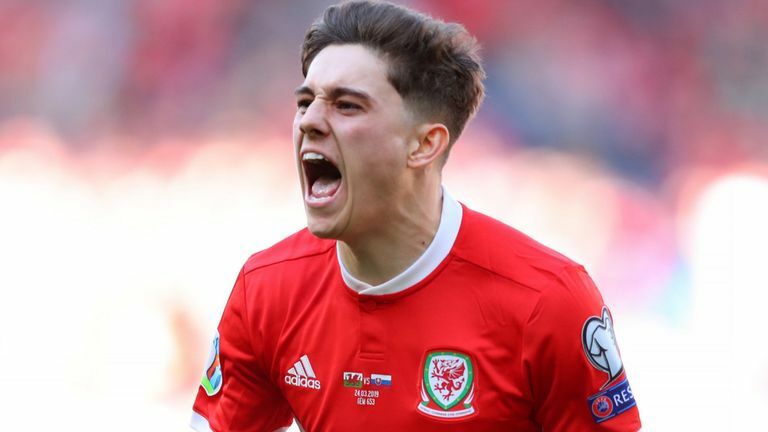 Daniel James got another goal for Swansea in midweek and it is a credit to Graham Potter, and of course Dan himself, how much he has progressed over the season. The improvement in Daniel’s finishing has been particularly impressive for club and country in 2019 and he is our first goalscorer selection this week with 9/1 (10.00) available with Boylesports. Boylesports also offer 45/1 (46.00) that Dan James scores the only goal of the game if you wish to combine the tips. First team booking – Middlesbrough at 4/5 (1.80) with SkyBet. Swansea to win 1-0 – 67/10 (7.70) with MarathonBet. Dan James – First Goalscorer – 9/1 (6.00) with BoyleSports. All of the odds quoted on this page are correct at the time of writing. Our match predictions are fully researched and are provided to you in good faith, but please note that we cannot guarantee a profit on any bets you place and ask you to gamble responsibly. You must be over 18 years of age to gamble. Underage gambling is an offence. Gamble Aware aims to promote responsibility in gambling. For help, support and advice about problem gambling please contact the National Gambling Helpline on 0808 8020 133.